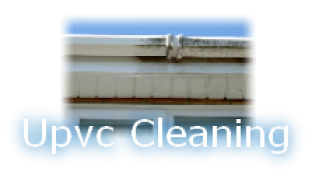 With water fed poles we can clean all kinds of UPVC such as cladding and high level. with a water fed pole the cladding can be cleaned safely from the ground and in a quicker time. 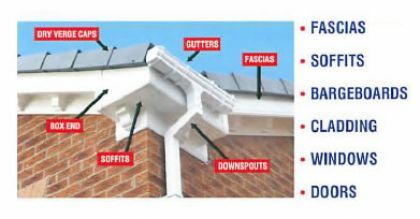 UPVC is now largely used for windows and doors, gutters, fascias, drain pipes and more! It can last many years. 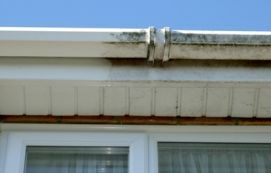 However, the pollutants in the air, acid rain, oil, bird droppings, moss and algae can soon rest on the UPVC surface. Cleaning can be quite time consuming and hard work, not to mention the health and safety issues. But if left, then this surface dirt becomes ingrained and becomes much more difficult to clean. This and the suns UV rays also causes discolouration. windows, doors, conservatories, cladding, fascias, gutters, soffits and more! results that if you’re not happy we will re clean it for FREE! Free demonstrations can be booked for this service. Book an appointment now for a free no obligation quotation. All quotes are provided upon viewing of the property.